Dr. Hansen has given me clear explanation of the issue and give very good directions what needs to be done. Highlyrecommend! 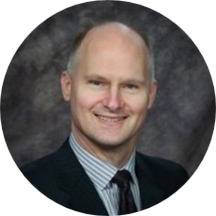 Dr. Hansen is board certified in Orthopaedic Surgery and has been in practice for over 26 years. He graduated from the University of Washington School of Medicine in 1990 and completed residency at UC Davis Medical Center. Dr. Hansen specializes in foot & ankle surgery and general orthopaedics.